Our timeless classics base on a Teddy design, which was developed by ourgrandfather, Max Hermann, in the late 1920s to lead out his then still youngcompany from the global economic crisis with new, creative ideas. 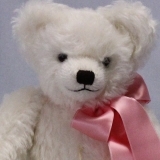 It wasa then new Teddy creation, the "Teddy Bear with inserted snout". In thisdesign, the Bear snout is made of a short-pile mohair. The snout is cutseparately and sewn on to the head cutting of the bear. Later our in 1920established company became known and famous with this kind of design. Eventoday - almost 100 years later - this Teddy Bear style is the preferred Bearshaping in our house. 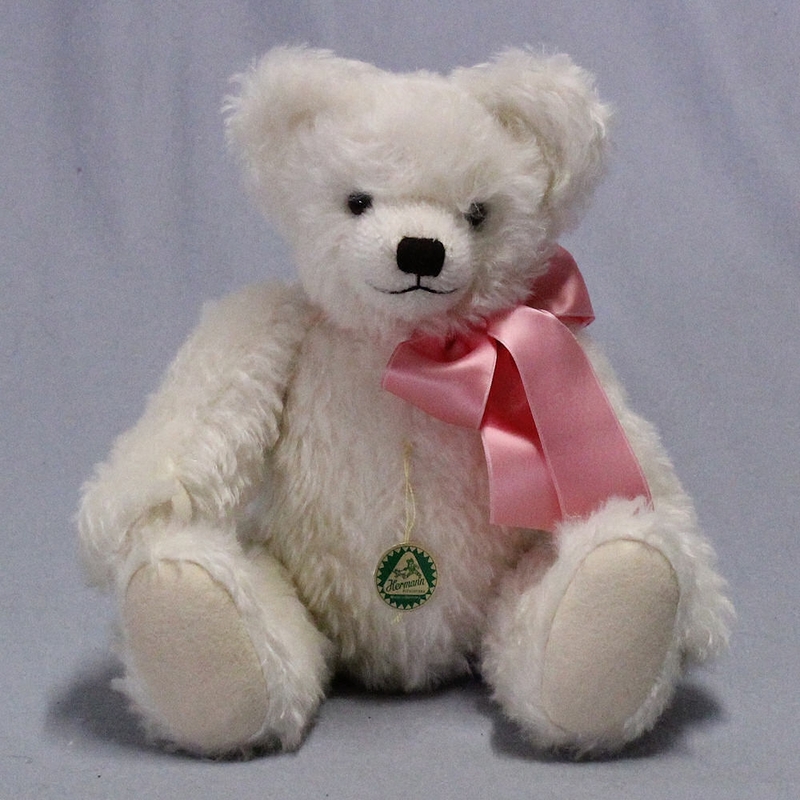 Like no other design, the "Teddy Bear with insertedsnout" is associated with our name and has wrote history as a timeless HERMANNclassic with which already our parents and grandparents grew up. Our timeless classics are handmade in Coburg / Germany at the location ofour company. 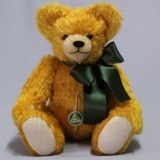 They are made of high quality mohair, are 5-times jointed andhave a classic growler voice up from a size of 35 cm (13 ¾ inches).Our timeless classics are traditionally stuffed with excelsior. 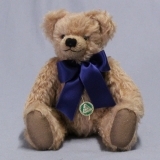 Teddys stuffedwith excelsior belong today to the rare treasures of the Teddy Bear worldand are barely offered on the market. What once belonged to the daily craftsof Bear makers has become art. Only very old and traditional companies stillmaster today the very time-consuming work of excelsior stuffing. When stuffingwith excelsior, the final and expressive shape of a Bear is individuallymodeled by muscle power, but also by a lot of sensitivity and an artisticunderstanding of design. 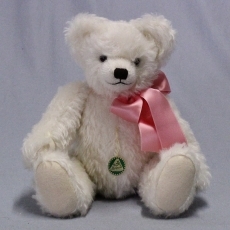 The more than 100-year history of the Teddy Bearhas shown that excelsior stuffed Teddy Bears survived for generations. For almost 100 years we maintain the tradition of excelsior stuffing andwe have preserved for us this old craftsmanship for making nearly all ofour Teddy Bears. 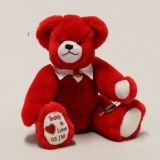 This makes the Teddy Bears of our company to unique creaturesand to real collectibles which are second to none.